Fancy a spot of cheese on toast? Get the spuds out. The common potato A solution to the world's problems. 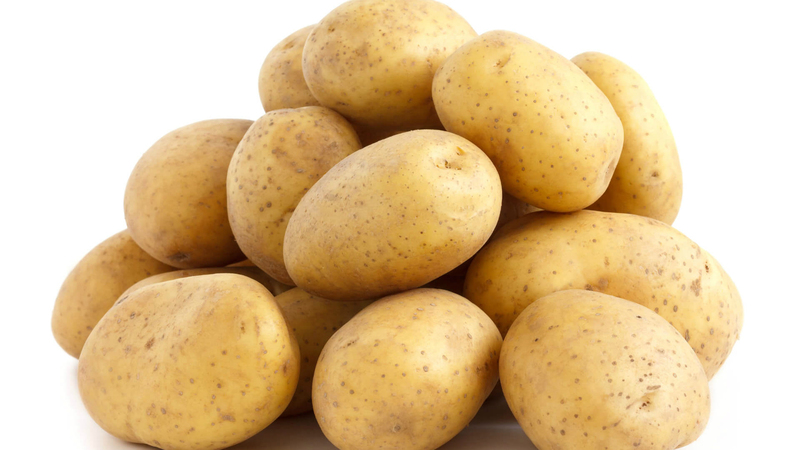 Potatoes really are the vegetable of a thousand uses whether it’s chips, mash or on very special occasions chips and mash. A new invention is offering to do something very different with potatoes though – turn them into cheese. Andrew Dyhin, a food scientist and inventor of a top secret process known only as PotatoMagic, claims to have created the “first manmade sustainable, eco-friendly superfood”, according to ABC. Using peeled potatoes, Dyhin is able to create something that “looks like cheese” and most importantly, “melts like cheese”. Not sure if it actually tastes like cheese, of course, but as Meat Loaf himself once crooned “two out of three ain’t bad”. In any case, this humble cheese-based invention could actually change the world as we know it, allowing farmers and food companies to get the maximum amount of produce out of the land, which might sound a bit creepy but really isn’t. “Having a way of using potato in all its current forms and all the by-product from potato processing and stuff that’s left in the paddock, the stuff that gets thrown in the dump, this can do that,” Dyhin explained to ABC. Best of all, it’s a great, low-calorie, dairy free substitute to cheese and can be used in anything from pizzas to even ice cream, apparently. Ideal for use in disaster zones where food may be scarce, it represents a major breakthrough that could spell good news for everyone – provided they like potatoes.